Pencil skirts are never too many in women’s wardrobes – this spring, focus on femininity and chequered patterns! Willow’s ultra-feminine skirt has a fashionable pencil cut, elevated condition and chequered pattern, very noticeable in this year’s collections of world fashion creators and the Polish brand Potis & Verso. The length of the skirt reaches the knees. 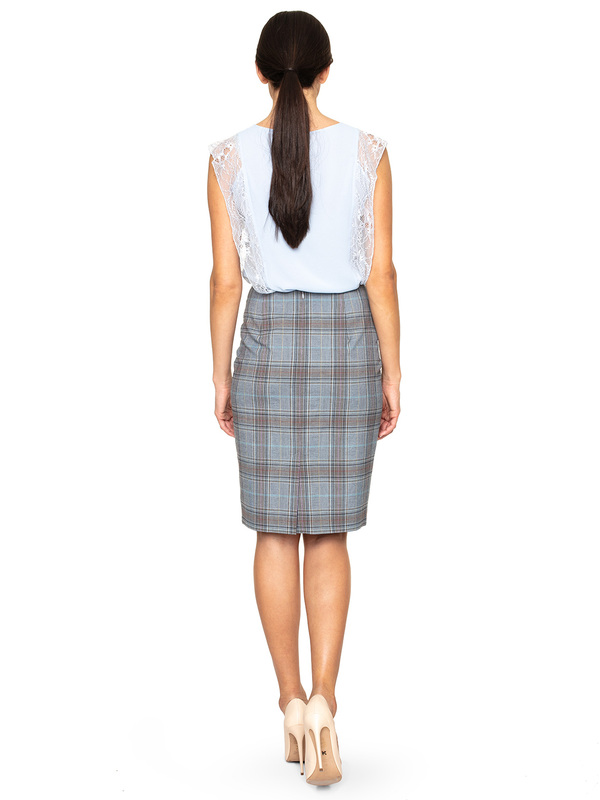 Match the skirt with a delicate blue blouse with lace trim (e.g. Marcella from the same collection) and a bright jacket. To create a chemise total look, opt for a jacket in the same model, Willow by Potis & Verso. Twist up the femininity of this style with the classic beige shoes and a small handbag.